The pretty Northumberland fishing village of Craster was on the route of our walk to Dunstanburgh Castle earlier this year. The tide was out when we got to the village. 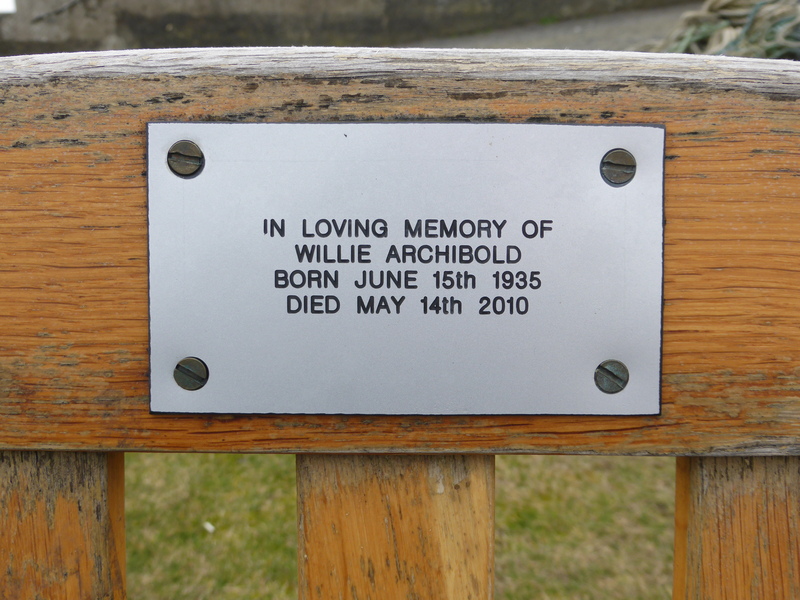 However, fishing villages are always lovely places to stop and enjoy the view and this bench in memory of Willie Archibold is a lovely place to rest for a while. Willie Archibold lived to the age of 74 years and did not quite reach his 75th birthday. 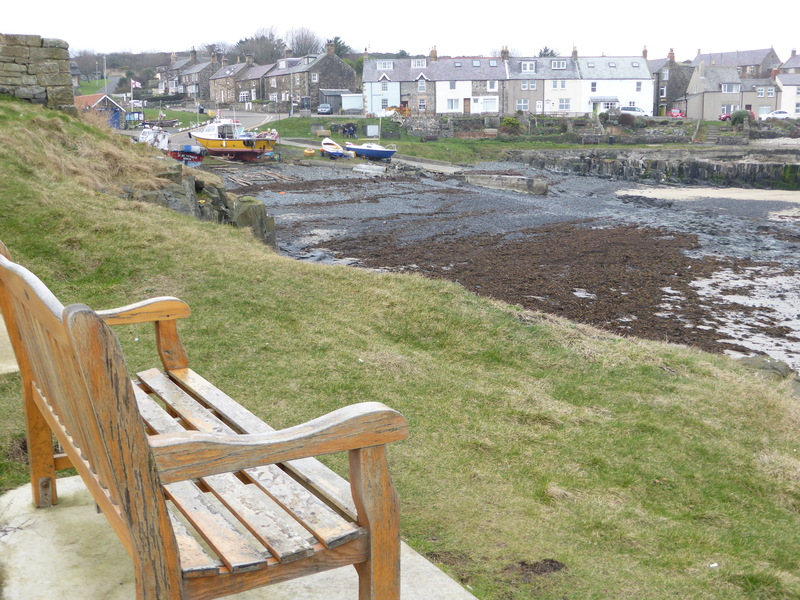 The inhabitants of Craster have carried out a considerable amount of local history work and a couple of websites record stories from the past. The Craster Local History Group website has lots of interesting information about the activites of this group and a History Walk of the village. The Craster Living History site gives the history of the local economy and social activities in Craster. These two sites both refer to contributions from a Willie Archbold but no Archibold. The death of my Father-in-Law has pre-occupied me for the last five months and I have neglected this blog. However, it did mean that I found myself in Leek Cemetery, which is a peaceful and atmospheric spot. 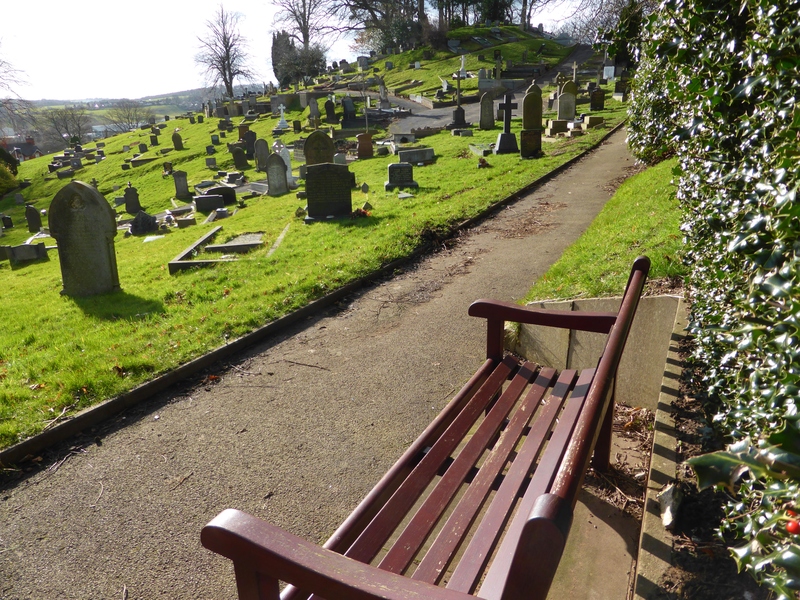 There are a number of memorial benches in the cemetery. This one overlooks my Mother-in-Laws grave and I like to think my Father-in-law sat on it from time to time and contemplated the view. John Simpson’s Photograph captures the spirit of the place and the Staffordshire Moorlands area very well if you want to know more about this area on the edge of the Peak District. 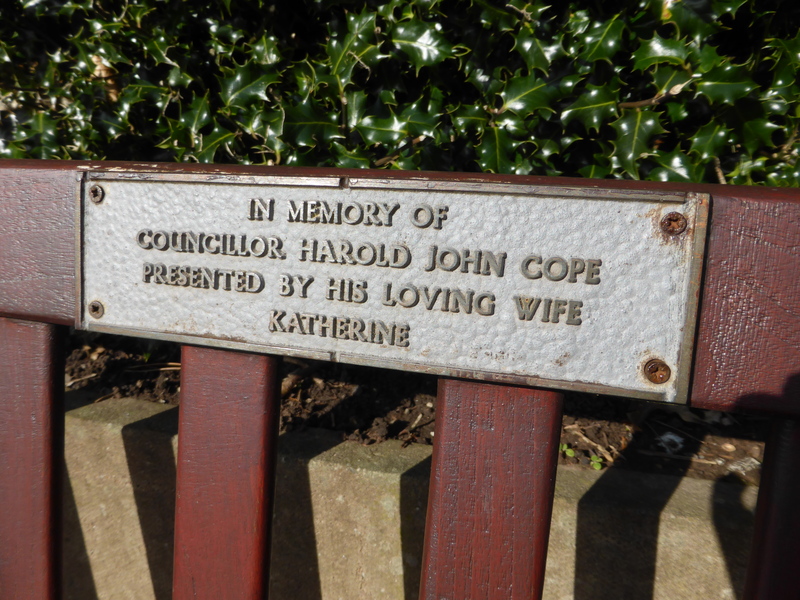 Despite being a Councillor I haven’t managed to find out anything more about Harold John Cope’s life in Leek. However, I am grateful to his wife Katherine for remembering him with a fine bench.